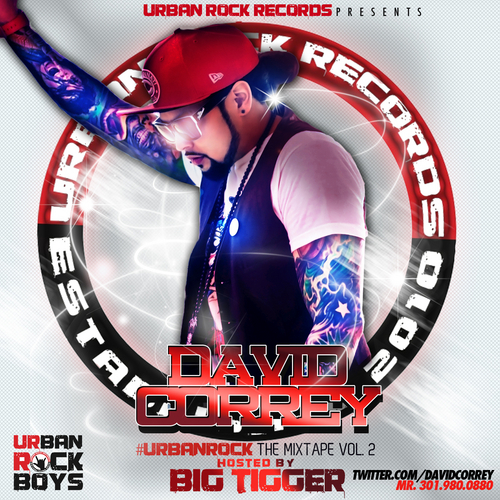 David Correy "Urban Rock Mixtape Vol. 2"
About "Urban Rock Vol. 2" Mixtape: Urban Rock The Mixtape Vol. 2 is the highly anticipated sequel to David Correy's Urban Rock Mixtape series. This project showcases Davids eclectic vocal sounds, captivating anthem music, smash pop hits, insane celebrity vocal drops, and dope features. This project IS A MUST DOWNLOAD! Urban Rock The Mixtape Vol. 2 has appearances by Three 6 Mafia, Taylor Gang, Gym Class Hero's, VH1's I Love New York, Big Tigger and Many More. As a team Urban Rock Records has worked hard to bring our fans a project that represents our taste in fashion, music, art and lifestyle. Big Tigger said it best: "You are now witnessing true star power."